Baking and self-care for moms aren’t two things that typically come to mind together, but trust me, baking is an ideal addition to your self-care routine. Especially for moms, the benefits are huge. For one, just the process of measuring and mixing is therapeutic. Then there’s a break where your entire house starts to smell lovely. At the end of it all, you’re left with a steaming treat that you and your kids can enjoy—the bonus being their little mouths will be so full of yummy stuff that you’re sure to have a few more minutes of quite, too. 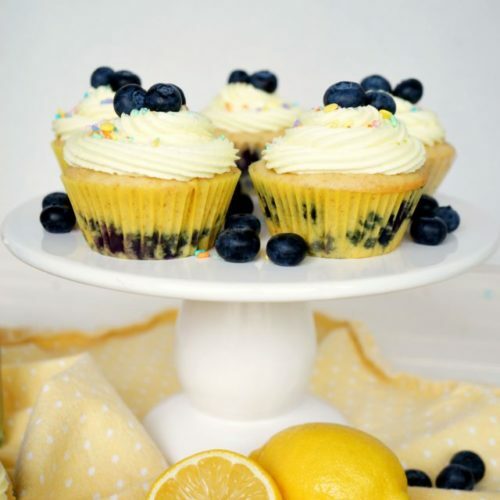 If you read my linen spray recipe, you’ll know that I’m completely obsessed with lemons. It’s my favorite as both a scent and as a cooking ingredient. So, when I’m thinking about dessert, lemon pound cake is my top pick. Because, of course. Today, I’m sharing my recipe for lemon pound cake plus 4 more recipes for lemon cake that I absolutely love! Preheat oven to 350F. Spray a 9×5-inch loaf pan with cooking spray and then lightly flour it. Add the eggs, sugar, and sour cream to a large mixing bowl. Whisk vigorously until smooth and combined. I’ll admit that I totally cheat on this step most of the time and use my Kitchenaid Standing Mixer. Best wedding present ever! Drizzle in the oil and add the lemon zest and lemon extract—no substitutions! Add the flour, baking powder, and salt until just combined. Make peace with the lumps and don’t over mix. You’ll end up with touch, chewy pound cake later. Pour the batter into your loaf pan and bake for 50 minutes or until a toothpick or fork comes out clean after being inserted into the center. Putting foil loosely over the loaf pan in the last 5-10 minutes of cooking helps prevent too much browning. For the glaze, whisk lemon juice into the powdered sugar until the mixture is smooth. Increase or decrease the amount of lemon juice until you reach the desired consistency. Drizzle over your lemon pound cake once it has cooked and completely cooled. 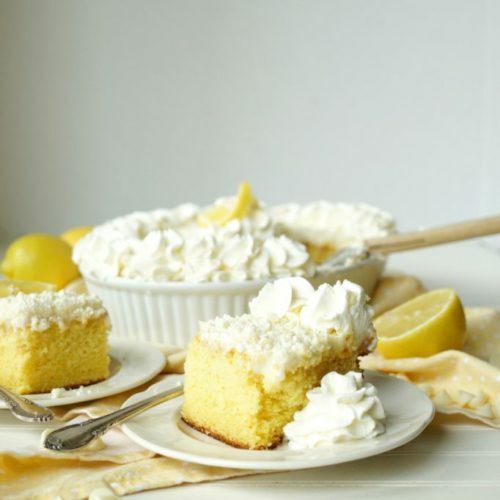 These recipes for lemon cakes are to die for! If you’re a fan of lemon like me, try one of these and let me know what you think. 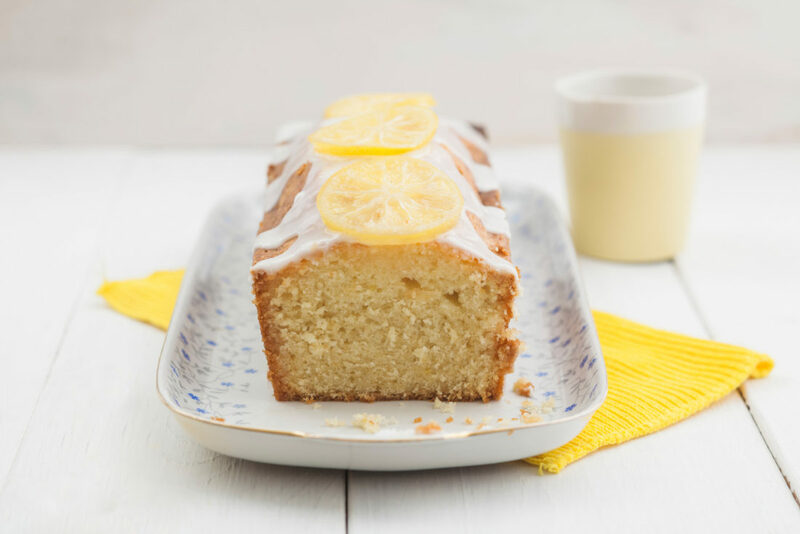 Learn how to make this lemon cake recipe! Moms know they need more self-care, but finding time to actually get more of it is more of a challenge. Surprisingly, though, a few of the activities you do every day can be incredibly beneficial. Cooking in general and baking, for me, specifically are incredibly therapeutic. There is something very meditative about the process of measuring and simmering and stirring and watching as something turns from a batch of raw ingredients in your oven into something delightfully delicious. Outside of my experience, though, there are a number of health benefits of baking. Better health physically often translates to better health mentally. While it may seem obvious that nutrition plays a vital role in mental health, there are studies that have linked specific nutrients to brain health. According to Psychology Today, these include omega-3 fats, B vitamins, iron, zinc, magnesium and amino acids. Being more mindful helps reduce stress and increase our love of life. In the kitchen, being mindful may look like watching carefully as the knife glides through a cucumber or feeling the bumpy outside of an avocado. Taking it one step further, it even includes thinking about the flavors and textures of the food as you eat it. In the grand scheme of things, it’s easy to consider cooking or baking as just one more thing to be done. However, it can be anything but a chore! In fact, baking can bring an immense amount of satisfaction and joy to your life. As someone who is always looking for ways to promote more self-care for moms, finding ways to add more joy to our everyday lives is somewhat of a mission. I find that baking allows me to be grateful for the food and abundance in my life. And it helps me create little joyful moments where I can teach my children to invest in and treat themselves. It reinforces my work-hard-play-hard philosophy. When I really think about it, the fact that baking can do all of that is really quite amazing. Love to bake? Try these M&M’S Mini Bundt Cakes! They’re the perfect size to indulge in all by yourself and decorated with white candy icing and crushed M&M’S. Oh my this looks delicious. This is my favorite flavor to make. Saving your recipe.